Welcome to Chic It Up! I restore unloved old furniture into new unique pieces that everyone will love. 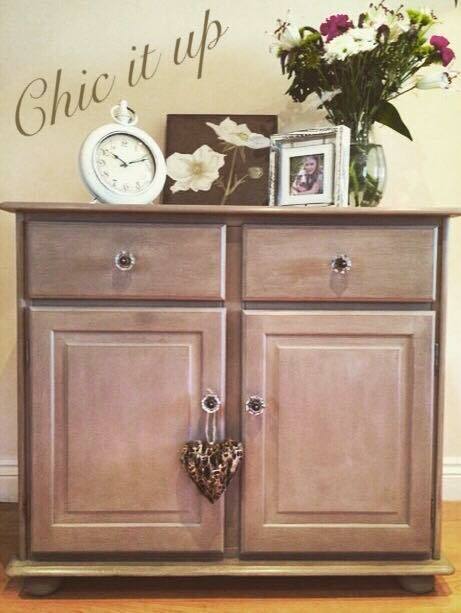 All my furniture pieces are upcycled using high quality chalk paints, stains and wax. As well as furniture that I collect myself i also run a commission based service to restore any furniture you may have that needs a face lift in order to become and loved piece once again. Please take a look through my website and any questions you may have I am more than happy to answer via email or phone, all contact details are on my contact page. Follow me on Facebook to see what pieces I am currently working on.